1956 Topps Baseball Shoe box Collection (700+). 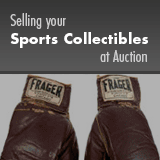 Offered is a collection of over 700 Topps Baseball cards from 1956. A total of 13 cards have been graded by SGC. Includes: SGC 92 NM/MT+ 8.5: 3 cards, #'s 160, 307 Wilhelm and 325; SGC 88 NM/MT 8: 3 cards, #'s 79 Koufax, 160 and 280; SGC 84 NM 7: 2 cards, #'s 15 Banks and 30 Robinson; SGC 80 EX/NM 6: 2 cards, #'s 10 Spahn and 130 Mays; SGC 70 EX+ 5.5: 1 card, # 31 Aaron and 135 Mantle; SGC 60 EX 5: 1 card, #33 Clemente. Includes - Ungraded - Highlights include #'s 10 Spahn (2), 20 Kaline (2), 30 J. Robinson (3), 31 Aaron, 33 Clemente, 101 Campanella (4), 107 Mathews (2), 110 Berra, 113 Rizzuto, 118 Fox (9), 130 Mays, 135 Mantle (3), 150 Snider, 164 Killebrew (2), 166 Dodgers (2), 200 Feller (3), 240 Ford (2), 251 Yankees (2), 292 Aparicio, 307 Wilhelm (5) and Checklists (6). Grades 8% NM to NM/MT, 65% EX to EX/MT, 23% VG to VG/EX, 4% lesser. SMR value exceeds $3,000.00. Please see our web site for more details. Ungraded cards include: #'s 1 Harridge (2: VG, FR), 2 Giles (9: 3 EX/MT, 3 EX, 3 VG), 10 Spahn (2: Both EX/MT), 11 Cubs (2: EX/MT, GD), 20 Kaline (2: EX, VG/EX), 25 Kluszewski (3: EX/MT, EX, VG), 30 J.Robinson (3: All EX/MT), 31 Aaron (EX), 33 Clemente (VG/EX), 85 Indians (EX/MT), 95 Braves (EX/MT), 100 Orioles (VG/EX), 101 Campanella (4: EX/MT, 2 VG, FR), 107 Mathews (2: EX/MT, EX), 109 Slaughter (5: EX/MT, EX, 2 VG, FR), 110 Berra (VG), 113 Rizzuto (VG), 118 Fox (9: EX/MT, 4 EX, 4 VG), 120 Ashburn (4: EX/MT, EX, 2 VG), 130 Mays (EX), 135 Mantle (3: 2 VG, PR), 150 Snider (EX), 164 Killebrew (2: EX/MT, VG), 166 Dodgers (2: VG/EX, VG), 180 Roberts (4: 3 EX/MT, EX), 181 Martin (2: Both EX/MT), 194 Irvin (2: Both EX/MT), 200 Feller (3: EX/MT, 2 EX), 213 Tigers (EX/MT), 226 Giants (EX), 236 Athletics (EX/MT), 240 Ford (2: EX/MT, EX), 250 Doby (2: EX/MT, VG/EX), 251 Yankees (2: Both VG/EX), 260 Reese (2: EX, VG), 292 Aparicio (EX), 307 Wilhelm (5: 3 EX/MT, 2 EX), Checklists (6: EX/MT, VG, 4 Marked).